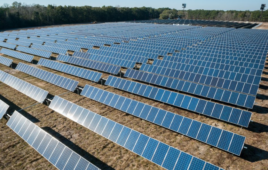 The 5-MW solar project would be built in partnership with the City of Middleton at the Middleton Municipal Airport, also known as Morey Field. The proposed expansion gives residential and business customers throughout MGE’s electric service territory the option of powering their home or business with locally generated solar energy. Subscribers to the voluntary program can purchase up to half of their annual electricity use through the Shared Solar program. A 1-MW share of the 5-MW solar array will serve the Middleton-Cross Plains Area School District under MGE’s Renewable Energy Rider (RER). A 0.5-MW share will serve the City of Middleton under a separate RER agreement. Construction is expected to begin this summer, with the solar array producing electricity for customers later this fall. 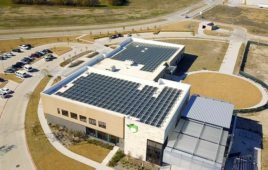 This proposal follows MGE’s first Shared Solar project, a 500-kW array on the roof of Middleton’s Municipal Operations Center. The array came online in January 2017 fully subscribed.